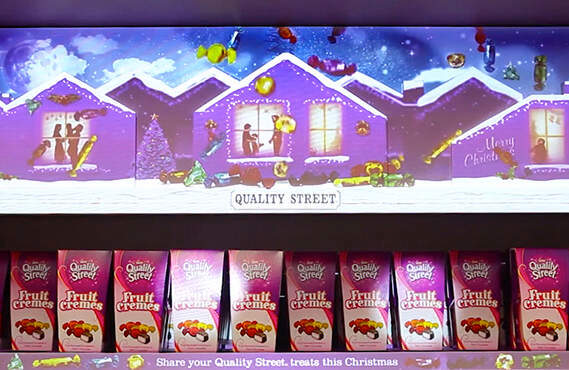 Задача: Global creative agency, Anthem and its technology partner, Projection Artworks, were given the challenge from Nestlé to create an interactive in-aisle showstopper for its Quality Street brand. Решение: The shelving was literally brought to life with animated content, created by Anthem specifically for Nestlé, and using an Optoma EH501 1080p projector powered by DisplayMapper software. Результаты: The Quality Street displays usher in a new chapter in point-of-sale advertising. The three engaging experiences contrasted against the static displays around them, stopping people in their tracks. 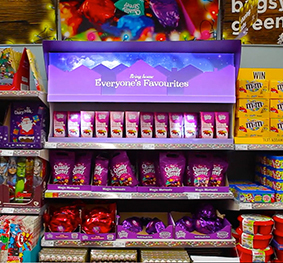 This stand-out POS would be trialled across ten key ASDA stores for the most important three-month period in the confectionary calendar - Halloween, Bonfire Night and Christmas. It is a particular challenge over this time as there are literally hundreds of POS displays in the stores – so it had to really grab attention, engage and cut through the marketing noise. 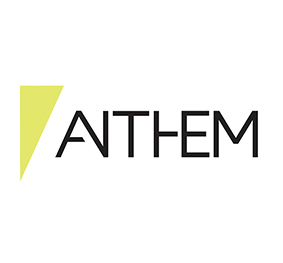 Anthem ruled out creative retail options such as shelf wobblers and floor stickers as they do not give the opportunity to engage with the consumer digitally or tell the brand story. It also ruled out flat screens as consumers are over-exposed to these, viewing them as functional and are difficult to use to create an experience. They decided to create projection mapped displays to achieve the impact needed. 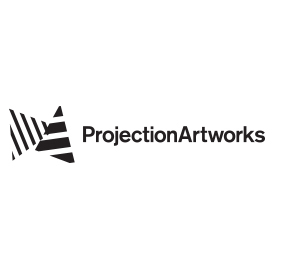 Projection mapping allows digital content to be applied on or around physical products or spaces. The displays would be need to be bright as they would be in the middle of the aisle in the well-lit stores. The shelving was literally brought to life with animated content, created by Anthem specifically for Nestlé, and using an Optoma EH501 1080p projector powered by DisplayMapper software. Having created retail projection showstoppers like Harrods’ Faberge installation, Projection Artworks developed DisplayMapper for retailers that want to recreate this type of next-generation ‘magic’ on a smaller and more affordable scale. DisplayMapper combines daylight-visible projections and 3D mapping software. The cloud-based system can centrally control and distribute creative branded content across a universe of retail supermarkets or uniquely to each store. Display Mapper was ideal for the installation as it allows updates to content to be pushed out “live” within minutes to one store or all. This can target consumer preferences and product promotions at a local level. Content for the Quality Street displays was updated remotely to reflect the relevant Halloween, Bonfire Night and Christmas stories. Tom Burch, Managing Director of Projection Artworks, said: “As the world’s first cloud-based content distribution and display system with a full 3D video-mapping engine, DisplayMapper is a low cost, easy-to-use technology solution that can create genuine stand-out in retail environments. With full HD 1080p resolution and 5,000-lumens, Optoma’s EH501 projector was chosen for the installation due to its brightness, image quality and reliability. In contrast to flat screen displays, projectors can be installed high above the shelves to avoid any issues of consumers tampering with equipment. To be able to measure the impact of the ten live displays, standard static versions of the displays were installed across other stores. The Quality Street displays usher in a new chapter in point-of-sale advertising. The three engaging experiences contrasted against the static displays around them, stopping people in their tracks. 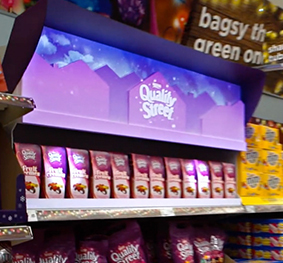 ASDA stores have reported a 41% lift in sales of Nestlé’s Quality Street brand in the outlets that featured the DisplayMapper technology, compared to other stores - with the best performing product categories located closest to projection units. Rob Hollands, Director of Brand Experience at Anthem said: “We’re very aware of the challenges inherent in engaging consumers within the store aisle, which is why we’ve seen little innovation in-store amongst the UK’s grocers and FMCG brands. Nestlé and ASDA plan to roll out the technology to more stores and create additional campaigns in 2016.